Universal Home Entertainment has just added the intense thriller Nightcrawler for release on Blu-Ray Disc and DVD in February. 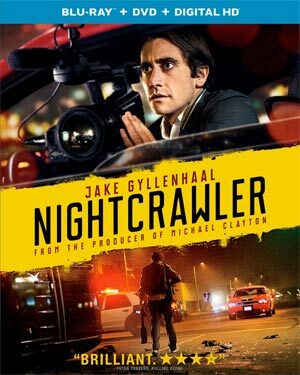 “Nightcrawler” is a pulse-pounding thriller set in the nocturnal underbelly of contemporary Los Angeles. Jake Gyllenhaal stars as Lou Bloom, a driven young man desperate for work who discovers the high-speed world of L.A. crime. Finding a group of freelance camera crews who film crashes, fires, murder and other mayhem, Lou muscles into the cut-throat, dangerous realm of nightcrawling—where each police siren wail equals a possible windfall and victims are converted into dollars. 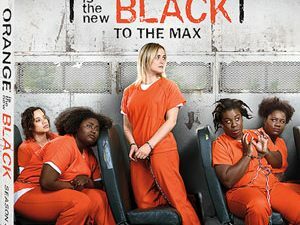 Aided by Nina (Rene Russo), a veteran of the blood-sport that is local TV news, Lou blurs the line between observer and participant to become the star of his own story. as a Commentary Track by Writer/Director Dan Gilroy, Producer Tony Gilroy, and Editor John Gilroy. The Blu-Ray version will feature the same bonus materials but will also feature DigitalHD copy of the film. “Nightcrawler” will set his sights on a store near you on February 10 and can be yours for $34.98 as a Blu-Ray/DVD +DigitalHD Combo Pack, or for $29.95 on DVD.